On Friday, October 7, our crew had a celebration. The reason? The project’s first grantee graduation! The Ejidos were social organizations based on communal land property. Created after the Mexican Revolution, they satisfied popular demands of those who lived in poverty and slaves who had worked for the Haciendas. The Ejidos were implemented in Mexico as a way to decrease poverty levels, allowing each family to produce their own food through agriculture. From 1918 to 1921, Veracruz’ political and social conditions were optimal for the equal distribution of the land. Back then, Veracruz State governors Candido Aguilar and Adalberto Tejeda, influenced by leftist ideas, were interested in dismantling the Haciendas, large properties promoted by Porfirio Diaz’s Government. Cesar’s work consisted in recovering historical documents from many government archives, as well as oral stories told by old Ejidatarios. 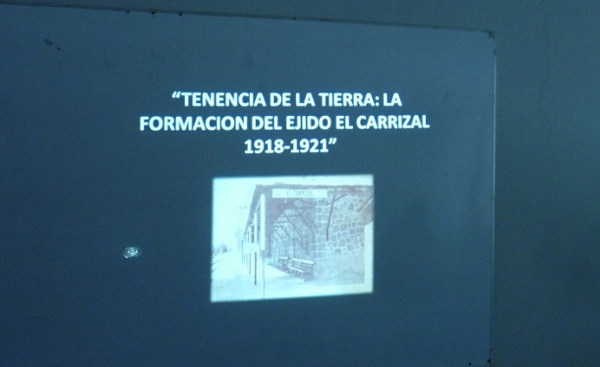 Through this work, we are now able to know the complete process involved in the formation of El Carrizal Ejido. For example, Cesar found the tenants’ application letter, written on March 6, 1918, in which the people of Carrizal asked for land from the Governor. A positive verdict was announced a month later on April 5, 1918, and it specified that 600 Ha would be distributed among the 117 Carrizal families. However, Carrizaleños had to wait until 1921 in order to be able to work those pieces of land without fearing a vendetta from the Hacendado. 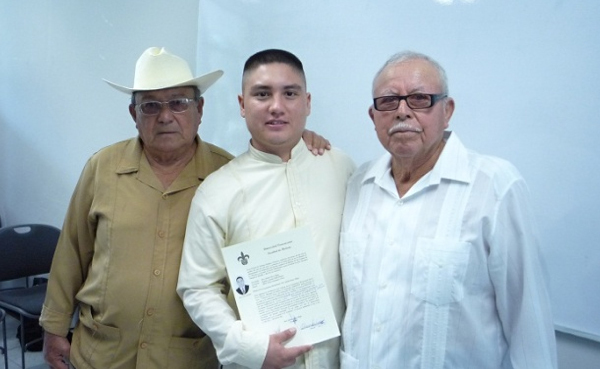 It is important to mention that, among all the people who contributed in Cesar’s thesis, the late Don Maximino Viveros played an important role. During his life, Don Maximino recorded all the main events of Carrizal, such as the arrival of the telegraph and radio, as well as the train station construction. 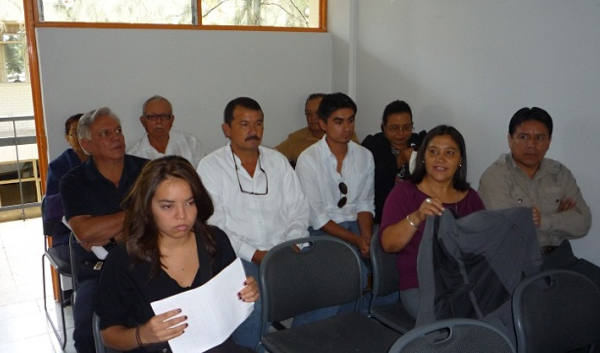 His personal file contains a lot of information about daily life in Carrizal from its foundation (1893) to the 1980s. 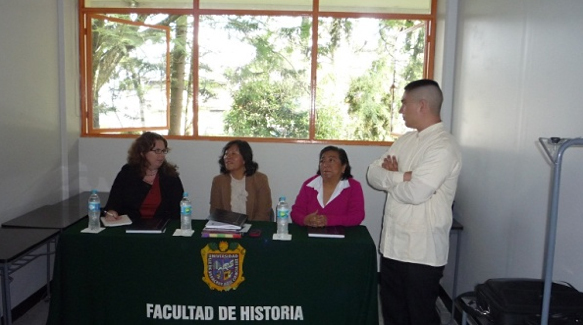 Cesar’s received an A on his professional exam, and his thesis received a special recommendation for publication as a book. His work represents a link between the archaeological studies of past societies and the present ones. 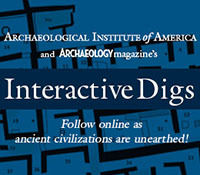 Through this example, El Carrizal’s Archaeological Project tries to show a multi-disciplinary investigation, taking into account the settlement patterns of the region during different periods of time. Congratulations to Cesar and his whole family for the effort. Central Veracruz History is thankful for his work. This entry was posted on Thursday, October 20, 2011 at 12:01 pm	and is filed under English. You can follow any responses to this entry through the RSS 2.0 feed. Both comments and pings are currently closed.